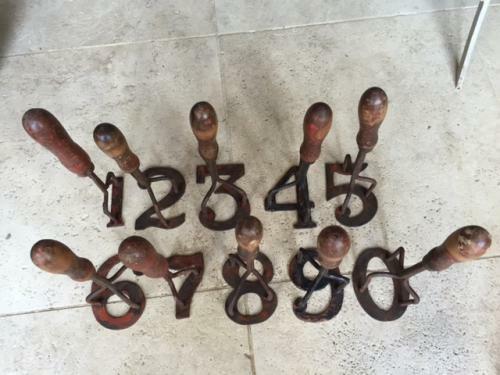 Rare complete and near matching set of Sheep number markers. Some with evidence of 'Ruddle'. Used for numbering the sheep after shearing.